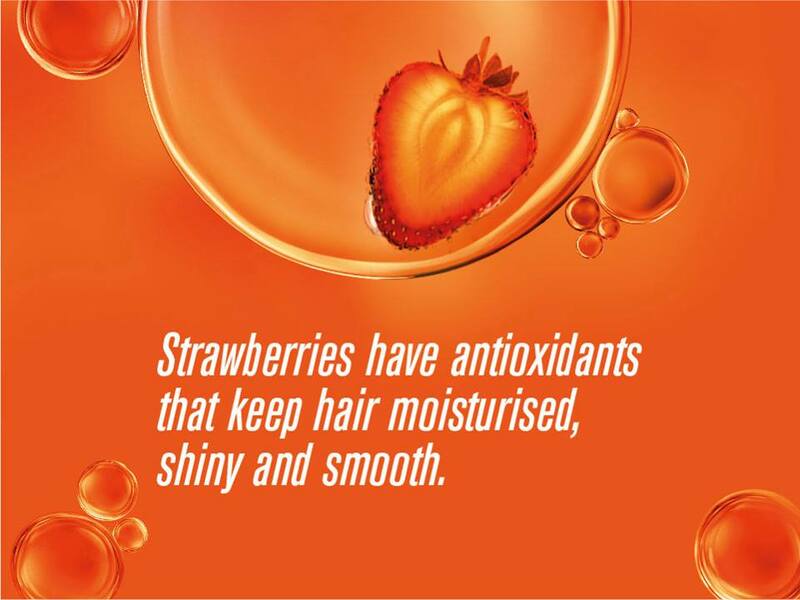 New in market – Hair and care fruit oil! A box just arrived at my address about a couple of months ago. I unboxed it, only to find two little non-sticky hair oil bottles that I was already thinking of buying for my little one, who has just started growing her hair. *Joy*. 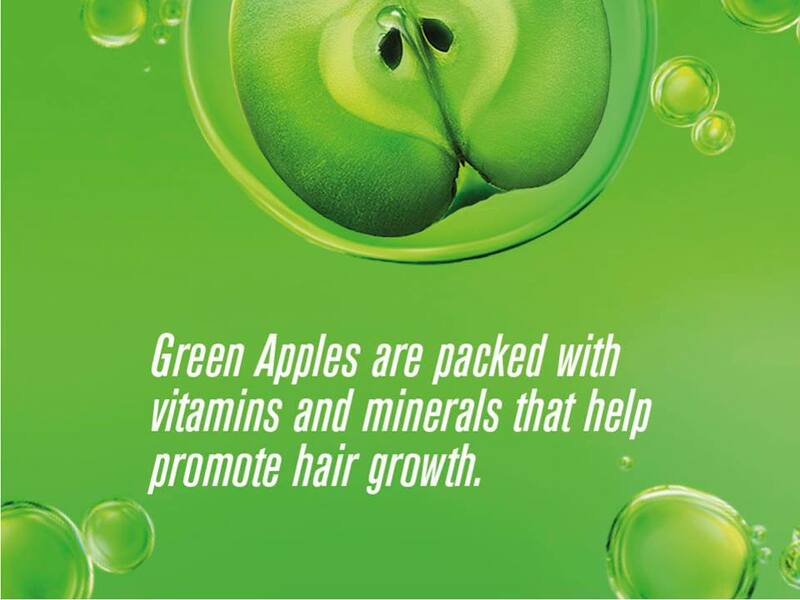 The box also contained a beautiful tiara and some placards listing the benefits of fruits for hair. *Double joy*. Teenagers, young college and office going girls, also men, women and children who prefer to use non-sticky hair oils after wash to manage their hair. Suitable for all hair types: fine to thick. Mineral oil (65% v/v), Vegetable oil (26% v/v), Cyclomethicone, Fragrance, and oils of orange, pomegranate & strawberry in orange variant and oils of olive, sweet lime, & green apple in green variant, TBHQ, CI47000, CI61565. Possibly allergy or damage causing any ingredient? Too many! Silicones, mineral oil, artificial fragrance, and chemicals. Strong fruity, artificial scent that may smell overpowering to many noses. 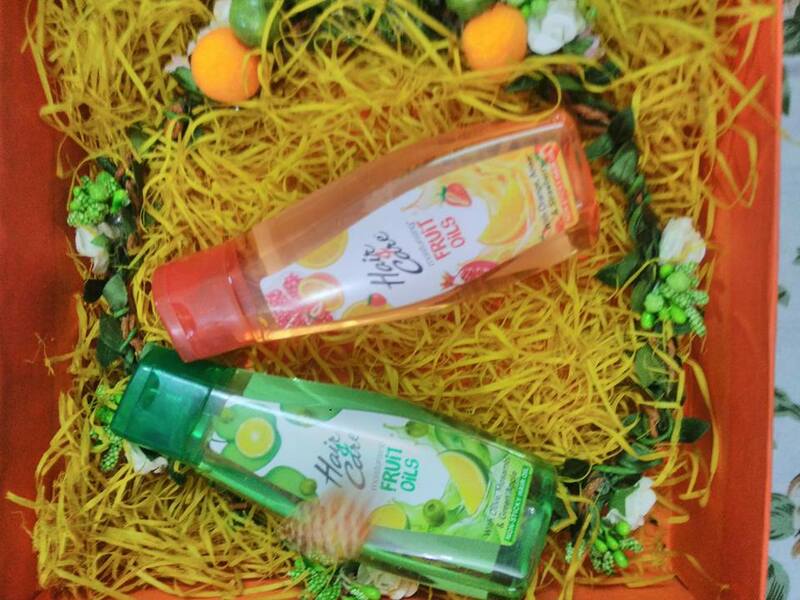 While green variant has citrus scent, the orange variant smells sweet & fruity. 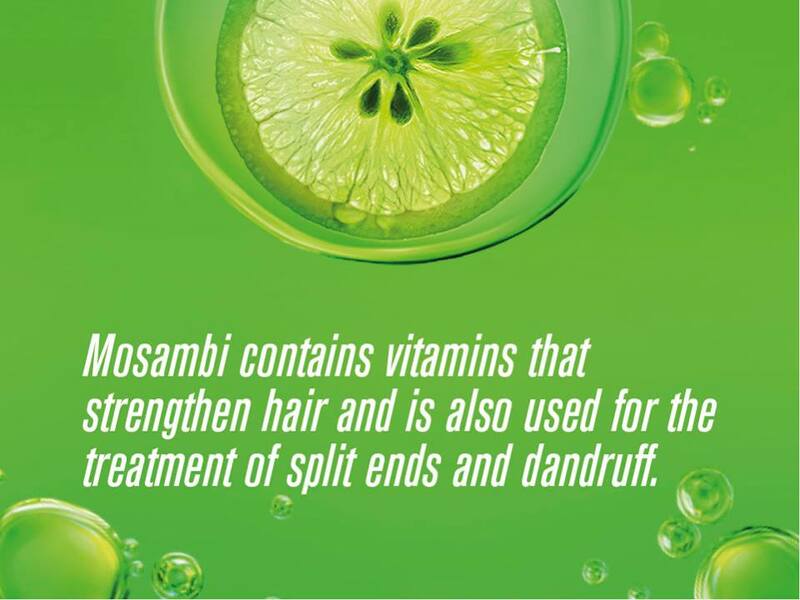 Apply to hair after wash as serum to manage frizz. Neither. Personally, I found it best for rainy months, when my hair tend to break and get frizzy. Both variants cost INR 60 for 100 ml. 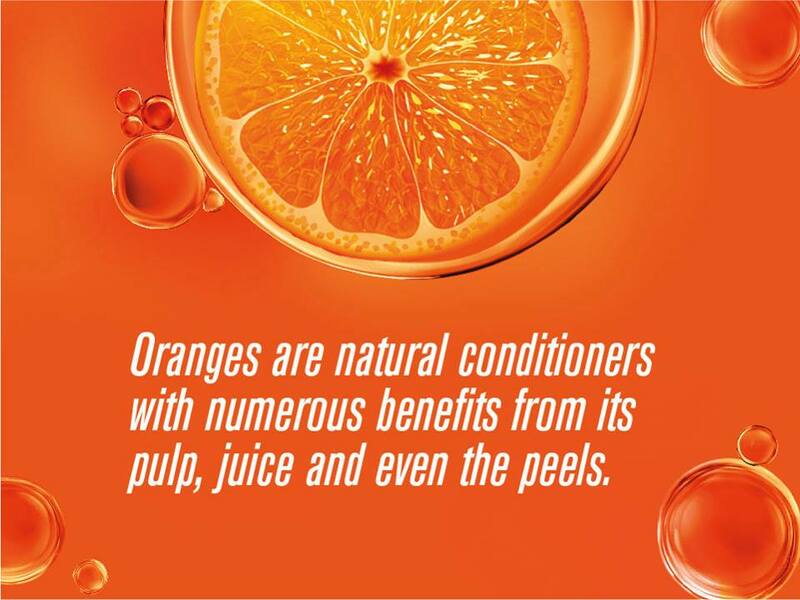 What’s good about Marico’s Hair and Care Fruit oil? A lovely, light, non-sticky hair oil that doubles up as serum or leave-in treatment for soft, silky, manageable hair. Highly affordable and easily available, Hair and Care has been a beauty staple for many girls for various purposes. As a leave-in treatment/serum gives shine to hair, prevents breakage. 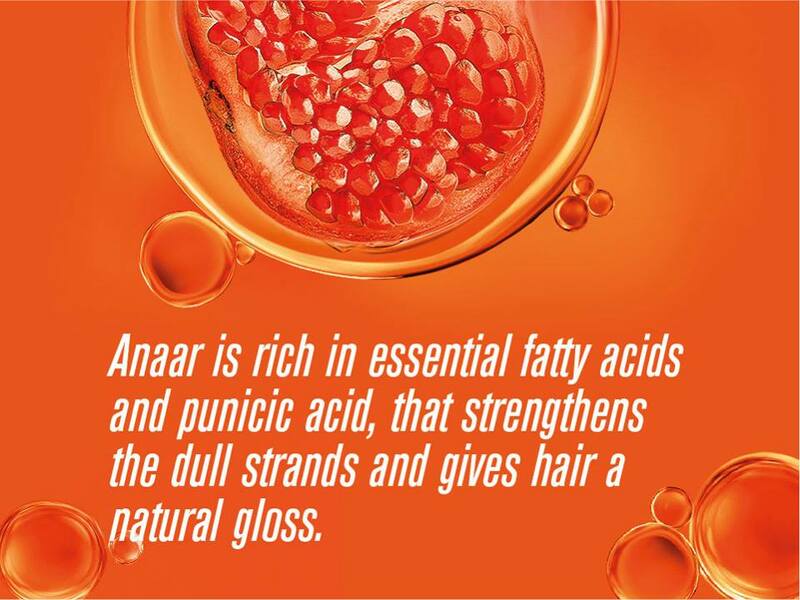 As a hair oil for massage does not make hair greasy and sticky, gets off easily in shower, improves blood circulation. Also better than some heavy hair oils that leave you looking like an oil slick, so you can avail the benefit of massage minus the grease of thick oils. What’s not so good about this hair oil? Presence of mineral oil, silicones and chemicals. 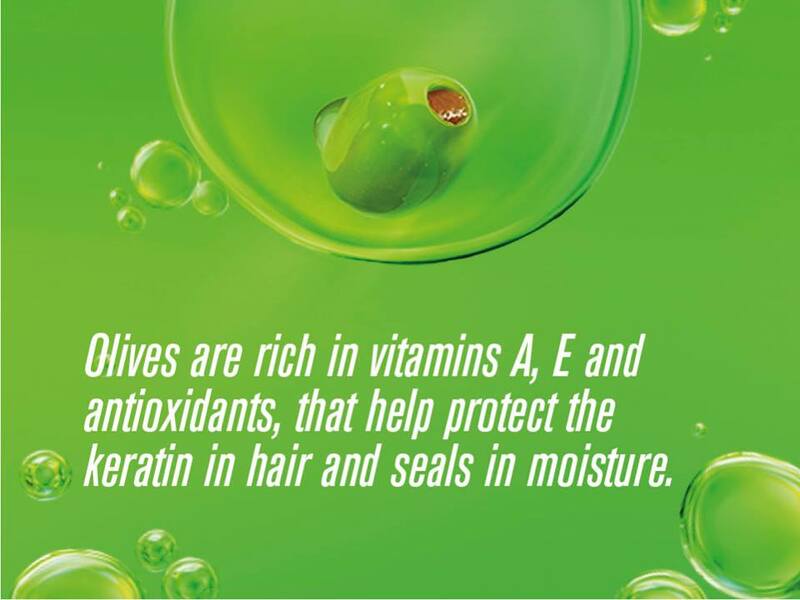 If you have dry hair but don’t like thick, greasy massage oils, do give Marico’s hair and care fruit oil a try. Garnier Fructis Good Bye Damage Hair Oil, Parachute Advanced Jasmine hair oil, Marico’s hair and care non sticky hair oil, Himalaya herbals revitalizing hair oil, Bajaj Almond drops hair oil, Dove elixir hair oil etc. Overall, the results are pretty good for the price it is retailed at. 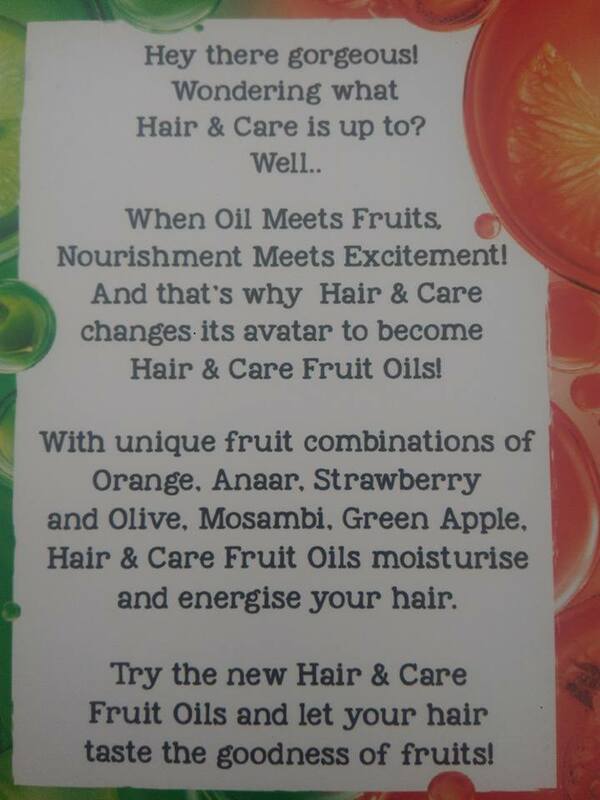 So a three star rating to hair and care fruit oil from my side! It seems to be quite loaded with chemicals.